In March 2011, the University Corporation for Advanced Internet Development (UCAID), also known as Internet2, began upgrading its advanced middle-mile backbone network in support of the United States Unified Community Anchor Network (U.S. UCAN) project. Extending across 50 states, this upgraded network will enable high-speed broadband connectivity for up to 121,000 additional community anchor institutions. The project is a large-scale, public-private partnership that will interconnect more than 30 existing research and education networks, creating a dedicated fiber-optic backbone that will enable advanced broadband capabilities such as video multicasting, telemedicine, distance learning, and other life-changing Internet-based applications. UCAID’s BTOP-funded fiber-optic network will also offer more than 8.8 TBps of capacity. As of July 2011, UCAID has upgraded and activated more than 4,828 miles of its proposed 16,312 mile fiber network. In addition, UCAID anticipates the first coast-to-coast links, from New York City to Sunnyvale, Calif., to be installed and operational this summer with the entire network expected to be completed by early 2013. In addition to the network infrastructure, UCAID also initiated outreach and awareness-building activities to demonstrate how advanced broadband applications and services could be deployed throughout the United States. 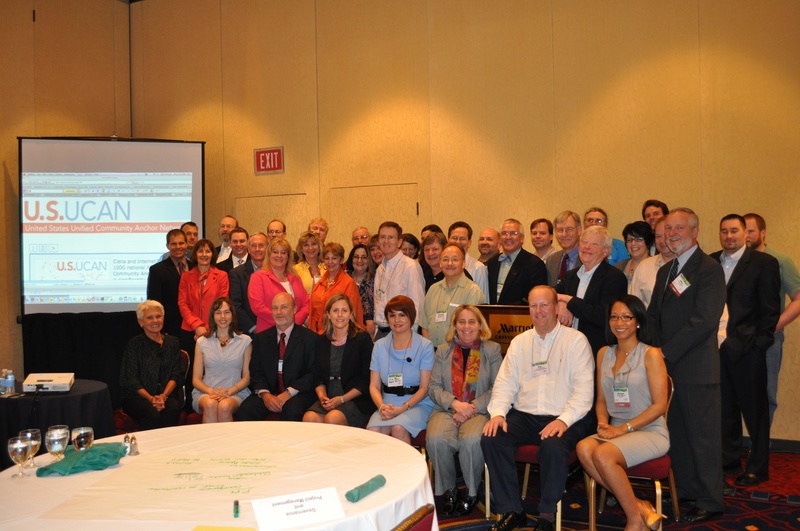 In April 2011, UCAID hosted an annual two-day conference meeting in Arlington, VA, where more than 65 members attended to receive a status update on the project’s construction efforts and learned about the new services the organization will provide through the advanced network.